Styles Taught:Specializes in fingerstyle guitar, open tunings, slide, flat picking, bluegrgrass, improvisation, rock, country, blues, folk, celtic styles, music theory, arranging and ear training. John is a seasoned performer and teacher. 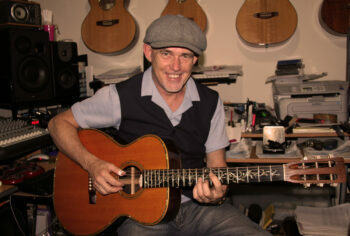 John only teaches at home in his studio in the Kingsgrove / Arncliffe area as he needs all of his resources including instruments, recording equipment, book and CD library at hand. He specializes in fingerstyle guitar, open tunings, slide, flat picking, bluegrgrass, improvisation, rock, country, blues, folk, celtic styles, music theory, arranging and ear training. 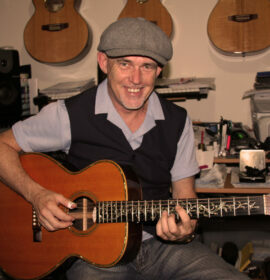 *All levels and most styles in a relaxed studio environment in Kingsgrove / Arncliffe with Brother John who plays guitar and sings in ‘The Blues Preachers’ He has over 25 years of teaching experience. *Blues enthusiasts are encouraged to study traditional finger-style acoustic blues in the styles of the masters from Robert Johnson to Mississippi John Hurt. *Slide Guitar:- acoustic and electric styles from Blind Willie Johnson and Son House to Duane Allman and Johnny Winter. *3 Finger Style 5 String Banjo (Earl Scruggs) and Up Picking Style (Pete Seeger). *Learn songs that you love to listen to. *Learn scales, modes, and chord construction theory. *Learn to Improvise in any key and over any chord progression. The lessons with John have been going well. I have been getting weekly lessons from him for a few months now.